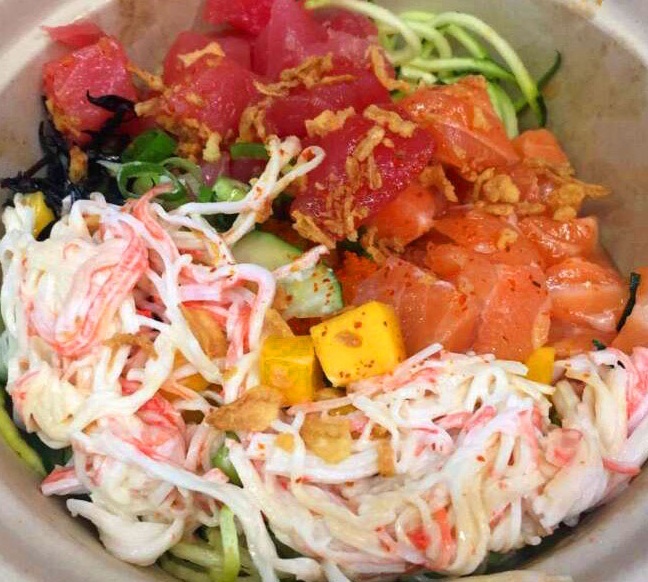 Poke bowl is a dish that is vibrant, fresh and trendy. It originated in Hawaii, dating as far back as the first Hawaiians that set foot on the island. 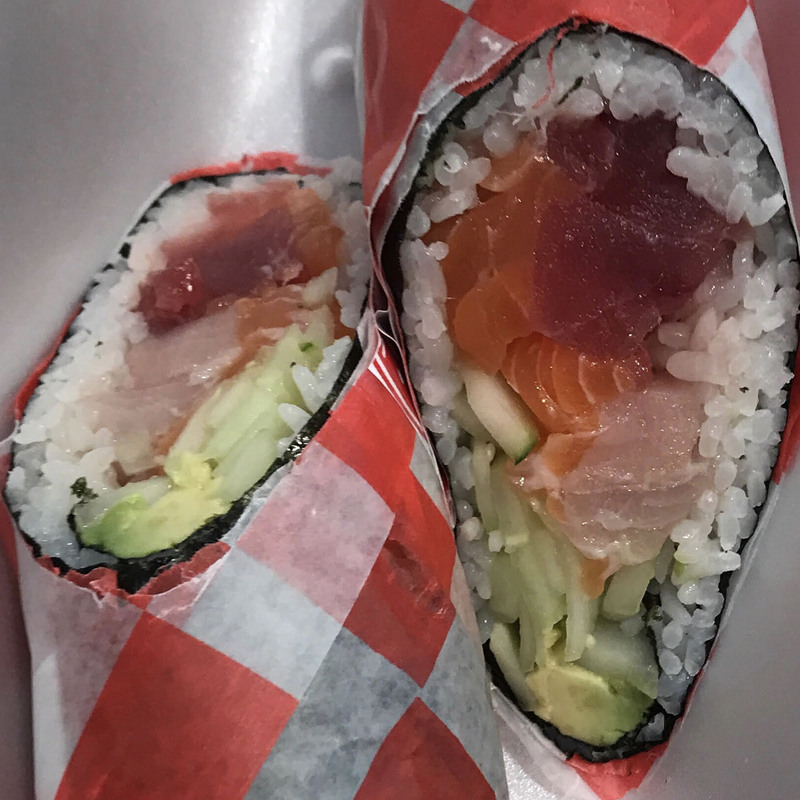 It emerged around 1970s when fishermen in Hawaii used simple recipes to create hearty snacks. 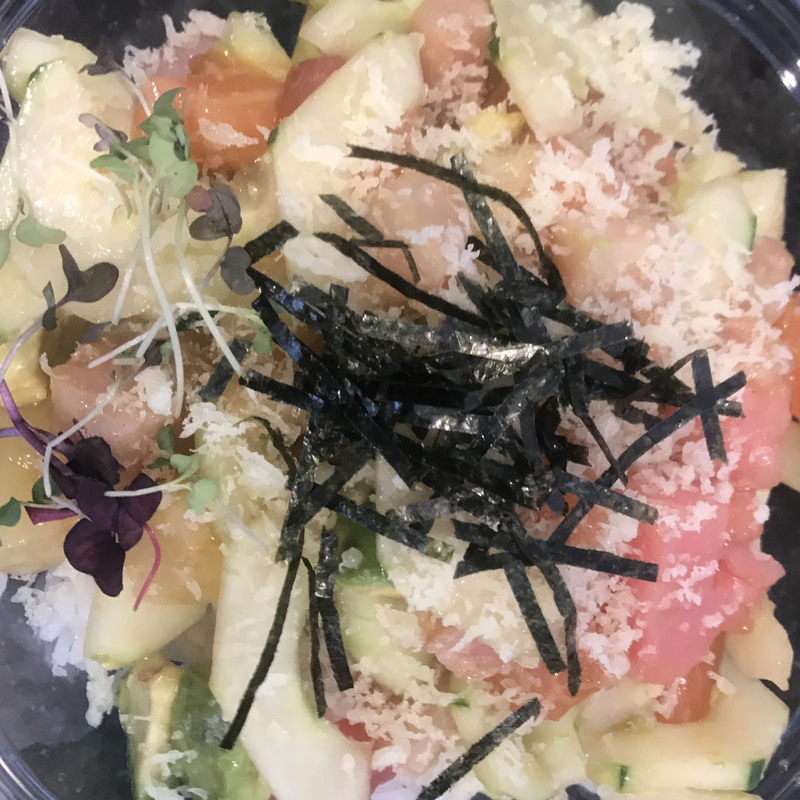 Poke (pronunced poh-kay) in Hawaiian means "to cut crosswise into pieces," essentially it is a fish salad which resembles a burrito bowl but with a sushi twist to it. So imagine all of your favorite sushi ingredients in one bowl... YUM! The dish commonly consists of fish and rice and served as cooked and raw, hot and cold all in one bowl. 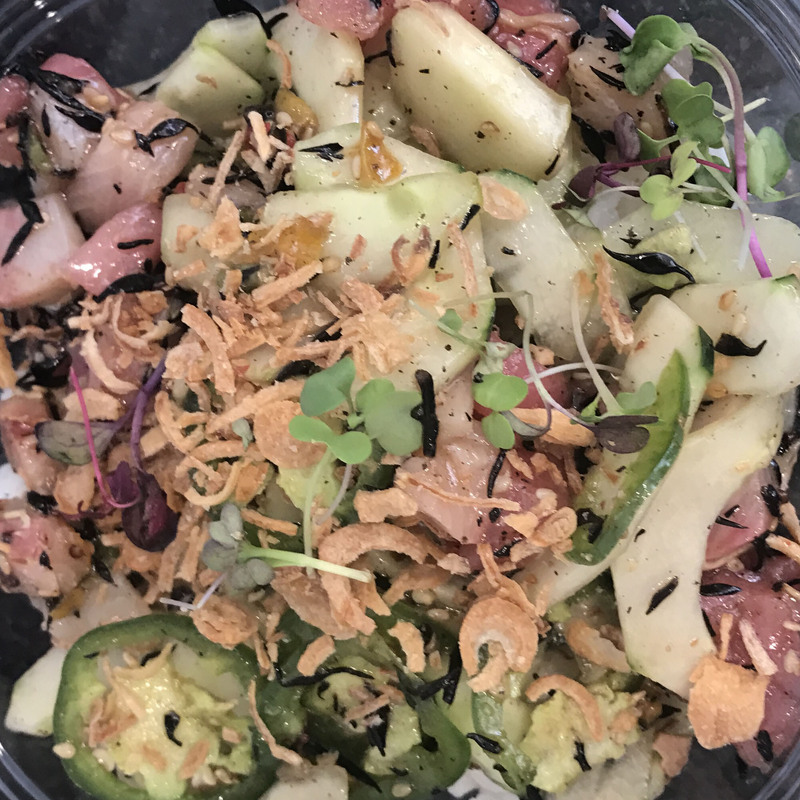 At Red Poke Express all of our delicious Hawaiian inspired poke are made using a "non-oil" cooking procedure and a special filtered water system. They are finished with the finest homemade sauces that contain organic gluten-free soy sauce. Corn syrup and artificial flavors will never be used. "Build your bowl" to a delicious and healthy fresh food.